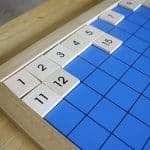 Kids will love making their own hands-on math game inspired by the popular children’s book, Press Here by Herve Tullet! 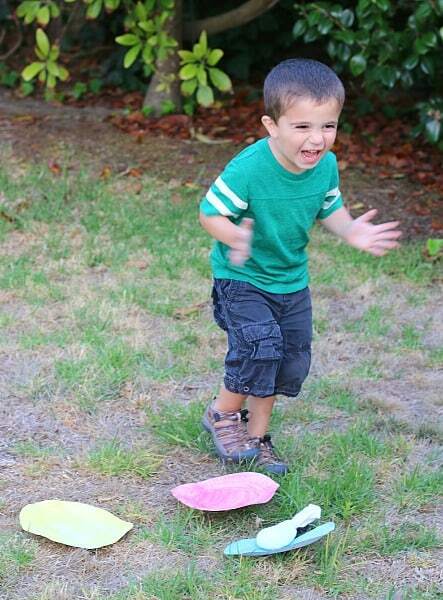 It’s a great way to practice those gross motor skills while also practicing counting and comparing numbers! 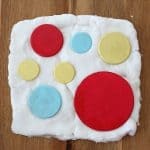 We have been on such a roll with activities for kids inspired by Herve Tullet’s book, Press Here. 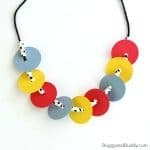 We’ve made Press Here inspired necklaces and played with our Press Here inspired playdough activity. 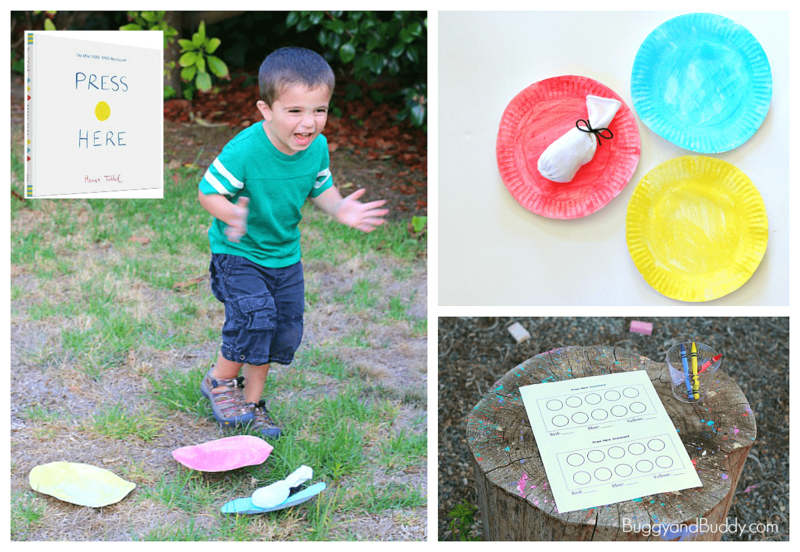 This time we’ve given our Press Here inspired fun a math twist with this homemade math game using paper plates! 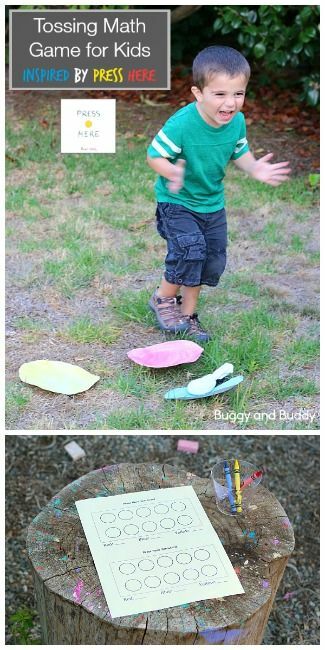 In this activity, children toss a homemade beanbag onto different colored plates and record where it lands each time. At the end of the game, the kids count up their results! 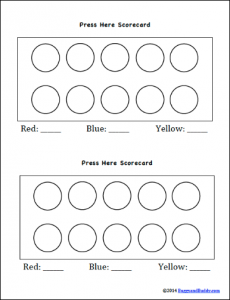 At the end of the post you’ll also find a free printable score sheet kids can use to record their own results! 1. 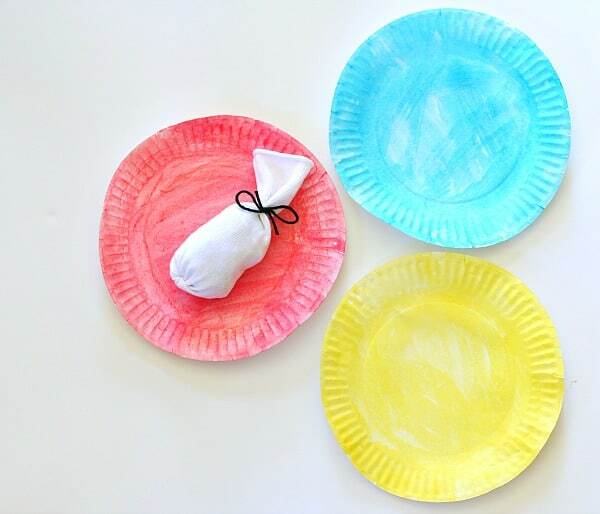 First you’ll need to make a blue, yellow, and red paper plate for the game. 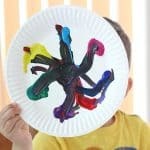 My kids used watercolors to color the plates when we made the game at home. 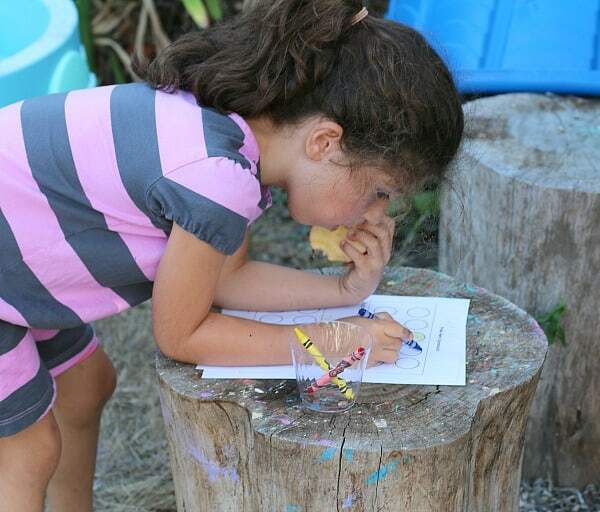 (The kids always love painting, and the watercolors dried fairly quickly.) 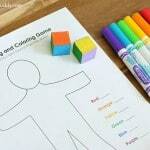 But, when I did this activity with my Kindergarten enrichment class, we just used crayons to color our plates since we had limited time. Either method will work. 2. You’ll also need one beanbag for the game. We made our own using a sock! 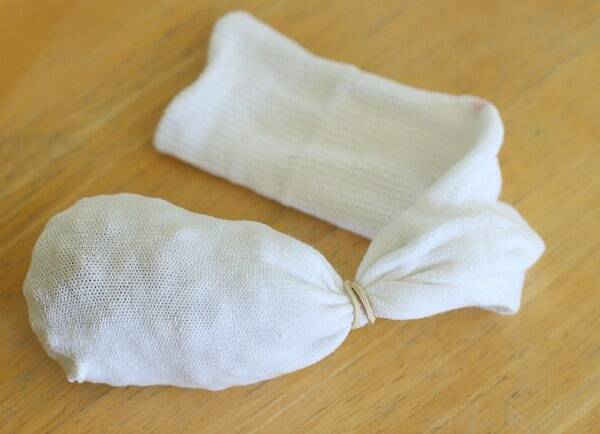 Fill up a sock with some beans and rubberband the sock closed. 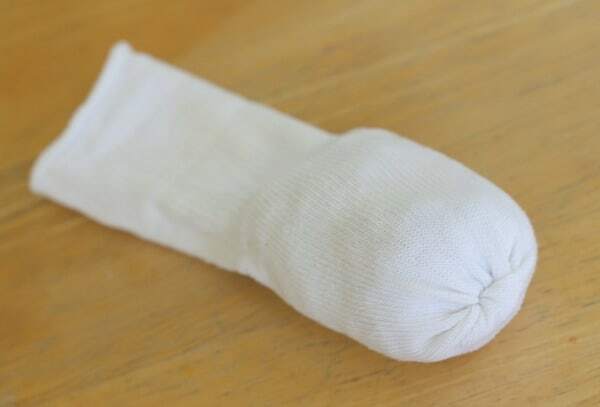 Fold the extra part of the sock over the beanbag part. 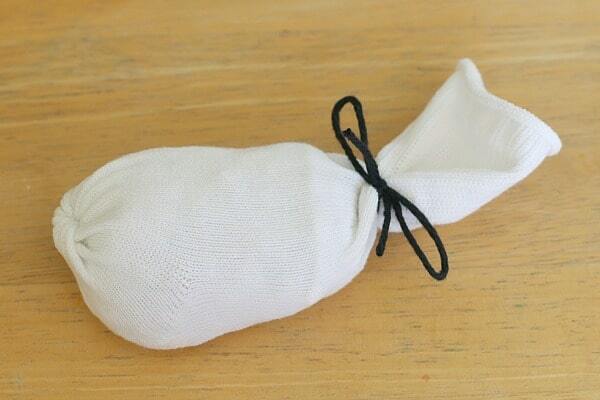 Add black ribbon or yarn to give it some color and secure it. 3. Print out the recording sheet. 1. Start by placing your plates in any formation on the ground. 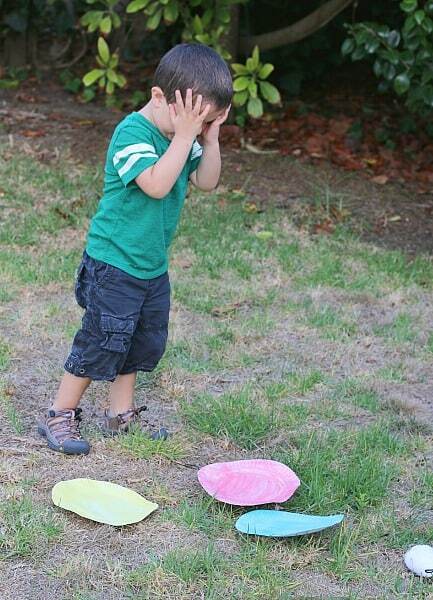 Move away from the plates, and then toss your beanbag towards the plate and see which color it lands on. 2. 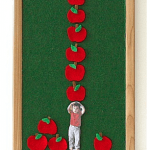 Color in a dot on your scorecard with the corresponding color crayon. 3. Continue doing this until all the dots are filled. Sometimes you miss all the plates. Just try again! It’s so exciting when you land of your favorite color! 4. 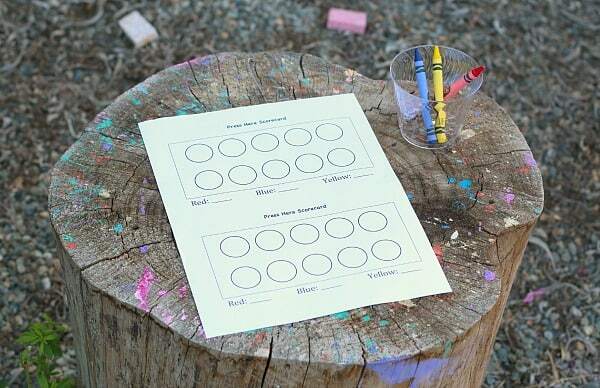 Count up how many red, blue, and yellow dots you got and record the results at the bottom of your score sheet. Which one has the most? The fewest? Give each colored plate a point value. 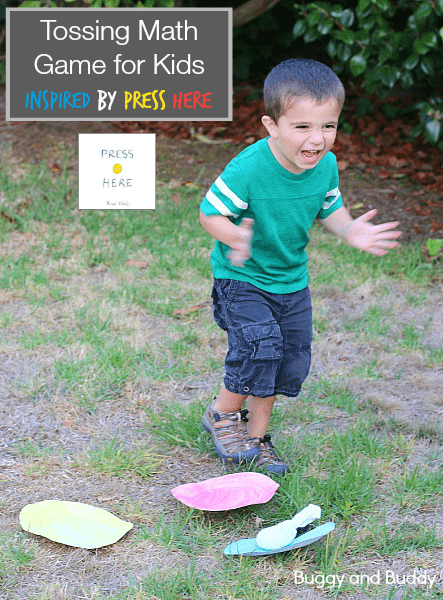 Toss your beanbag 3 times, recording your score for each toss. Add up your final score. Play again and see if you can beat your first score! 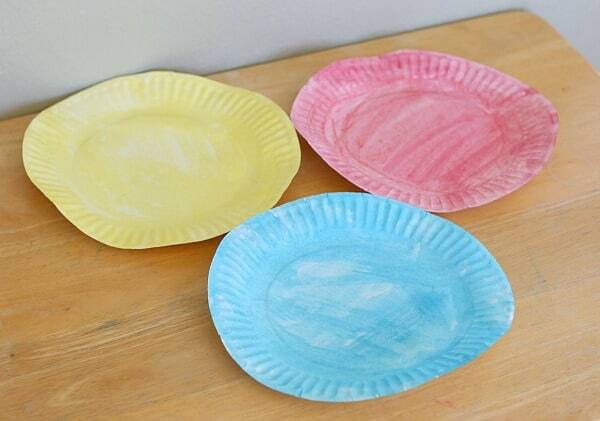 Give each colored plate a point value. 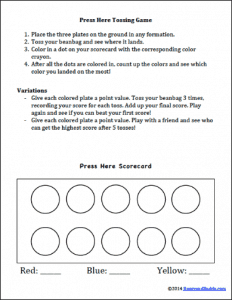 Play with a friend and see who can get the highest score after 5 tosses! Let your kids come up with their own ideas. I bet you’ll be surprised with how creative they can get! 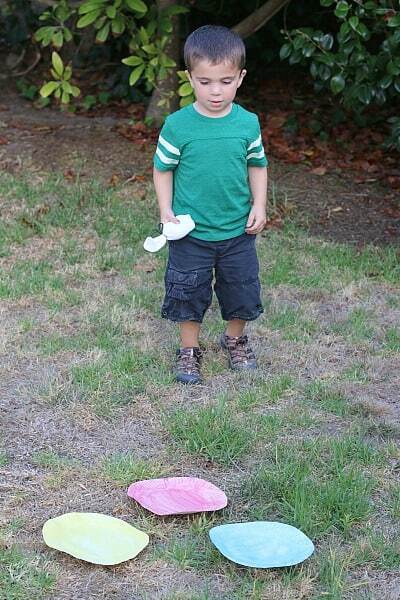 Here is a parent letter that explains the game. 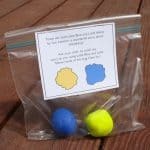 This would be great to send home with the kids if you make this game in the classroom. 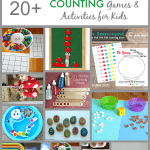 Kids can continue the learning at home and play it with their families. Here is the recording sheet for the game. Print out a few and keep them handy! What a cute game! I’ll have to get this book from the library and try out all your activities! Thanks for linking up at the Thoughtful Spot Weekly Blog Hop! We hop you stop by again next week!